How Does Medicare Cover Lung Transplants? Editor’s Note: This is a guest post. 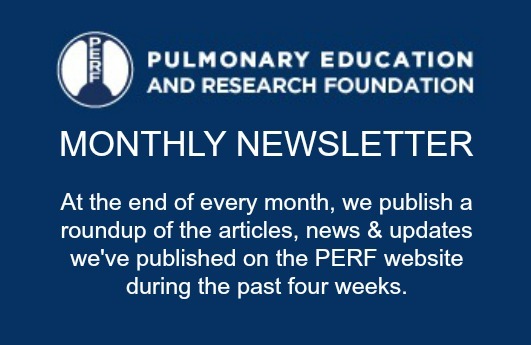 The information shared and views expressed in this article are those of the author and not of the Pulmonary Education and Research Foundation. A lung transplant is a complicated complex surgery to remove a sick lung and replace it with a healthy lung obtained from an organ donor. This type of surgery can cost hundreds of thousands of dollars with the end goal being that it can extend life and recover easier breathing for someone with a chronic illness. Qualifying for a transplant is not a simple thing. There are many more candidates than there are available organs. This leads to a number of qualification criteria, including age, physical condition, and personal support systems. Medicare beneficiaries can qualify for at least partial coverage of a lung transplant as long as certain criteria are met. You must have end-stage pulmonary disease. In addition, your physician will also need to certify that other treatment options have been thoroughly explored and that you have a good chance of a successful result. Individuals who receive a lung transplant often will need considerable inpatient hospital care and sometimes more than one surgery. After a successful surgery, they will also still require long-term medical care while they are healing. Such care can last many weeks or even months. Medicare also requires that lung transplants be coordinated through Medicare’s approved transplant program at a certified facility. Once you are approved for a lung transplant, here is what you can expect as far coverage under Medicare. Medicare consists of two parts: Part A and Part B. Part A pays for inpatient hospital care. Benefits that commonly fall under Part A include skilled nursing facility care, blood transfusions and also hospice. When someone undergoes lung transplant surgery, Part A provides the donor organ and also covers the transplant surgery. You are responsible for some costs under Part A. There is a Part A deductible of $1340 in 2018. This covers up to 60 consecutive days in the hospital. Should your inpatient stay last longer, you would begin to pay a daily hospital copay on Day 61. This amount increases on Day 91 and hospital benefits run out after 150 consecutive days in the hospital. Most people will not have a stay this long, but it’s important to understand any potential costs related to inpatient care. Outpatient medical care falls under Medicare Part B. Most of us think of outpatient care as preventive care, doctor visits, and lab work, which Part B certainly covers. However, many other items also fall under Part B. These include diagnostic imaging like CT scans or MRIs, durable medical equipment or supplies, emergency care, chemotherapy, radiation, dialysis, and more. Part B covers laboratory tests prior to a lung transplant in a lung transplant surgery. It also covers your outpatient medical care. Another important benefit covered by Part B is medications received in a clinical setting or doctor office. This might include medications taken so that your body does not attack the donor organs. Medicare Part B pays 100% of your preventive care costs and 80% of other outpatient care. You are responsible for an annual Part B deductible and the other 20%. There is no cap on this 20% so your share of care related to a lung transplant could be significant. For this reason, most Medicare beneficiaries enroll in supplement plans to pay for the costs that Medicare doesn’t pay for. Traditional Medicare supplements have been around since Medicare first came into being. These policies pay after Medicare. Your providers send their bills to Medicare and Medicare pays its share. Then it sends the remainder on to your supplement company to pay its share. With a traditional Medicare supplement, you can see any provider that accepts Medicare anywhere in the nation. It doesn’t matter which insurance company you purchased your Medicare supplement from. While Medicare supplements provide comprehensive and predictable coverage, not everyone can afford them. Some people opt for the less expensive Part C Medicare Advantage plans. These private Medicare insurance plans pay instead of Medicare. Premiums are lower and you pay copays for services as you go along. You may also be required to be treated by providers in their network. Some Medicare Advantage plans have their own rules and criteria for qualifying for a lung transplant. Be sure to review your plan’s Summary of Benefits to learn how your coverage will work under your Advantage plan. Today many of the drugs we take are on an outpatient basis. Medicare Part D is optional coverage that you can purchase to help defray the costs of these medications. Instead of enrolling via Social Security, like you do for Medicare Part A and B, you will enroll in a Part D drug plan by choosing an insurance company who offers the plan that you want. Every plan has its own list of covered drugs, although all plans must cover immunosuppressants. It’s important to sign up for Part D during your initial enrollment period for Medicare. This way you will know that you will be covered for unexpected health conditions down the line. One never knows when a serious health condition like pulmonary disease may occur, so it’s best to insure yourself against future health costs by enrolling in suitable Medicare-related supplement and drug coverage. Danielle Kunkle Roberts is vice president and co-founder at Boomer Benefits, where she and her team help beneficiaries every year with their Medicare coverage selections. In many other countries I believe this type of procedure is fully covered. We need a single payer system soon as possible! As you know, the one payer system in this country has become a highly politicized issue that will take time to resolve. Like others on our board I have traveled to many countries around the world. Many countries seem to successfully use the one payer system. Their one payer systems are usually for basic healthcare. Some countries have an additional option of purchasing a supplemental policy, much like we have for Medicare. This allows coverage for those that wish to be seen sooner, or to see the physician of their choice. It also can provide coverage of more optional conditions such as cosmetic surgery. Those governments monitor the prices that may be charged for these supplemental plans as well as the cost of medications. Many people in the United States object to what they consider government interference. It appears it will take some time before these differences can be resolved. You won’t find me disagreeing that our health care coverage in the United States is highly inefficient. It is very expensive, yet provides levels of care well below those of a number of countries. I’ve traveled in Europe and gotten to know senior physicians in these countries. Their systems seem to work a good deal better than ours.